It had its first reading in parliament earlier today. The law on the Supreme Anticorruption Court should be finally adopted in the spring, Ukrainian President Petro Poroshenko has said, according to Interfax-Ukraine. "I think that the law should be finally adopted in the spring. By the way, it has already come," the president said at a meeting of the National Security and Defence Council in Kyiv on 1 March. He recalled that the Ukrainian parliament gave the first reading to the bill earlier on 1 March. Under the parliamentary procedures, preparing the bill for the second reading takes two weeks. "Then there should be a meaningful discussion of the provisions which caused the most discussions. And I declare that discussions are necessary, that careful consideration is also required... But I would like to immediately say the following: I will not let the project be started with a meaningless rhetoric or spelling corrections. 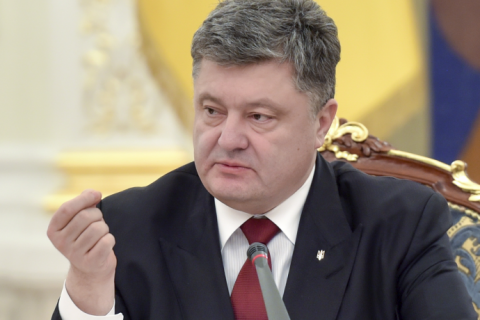 I don't want the bill to be stalled before it is put to vote," Poroshenko said.